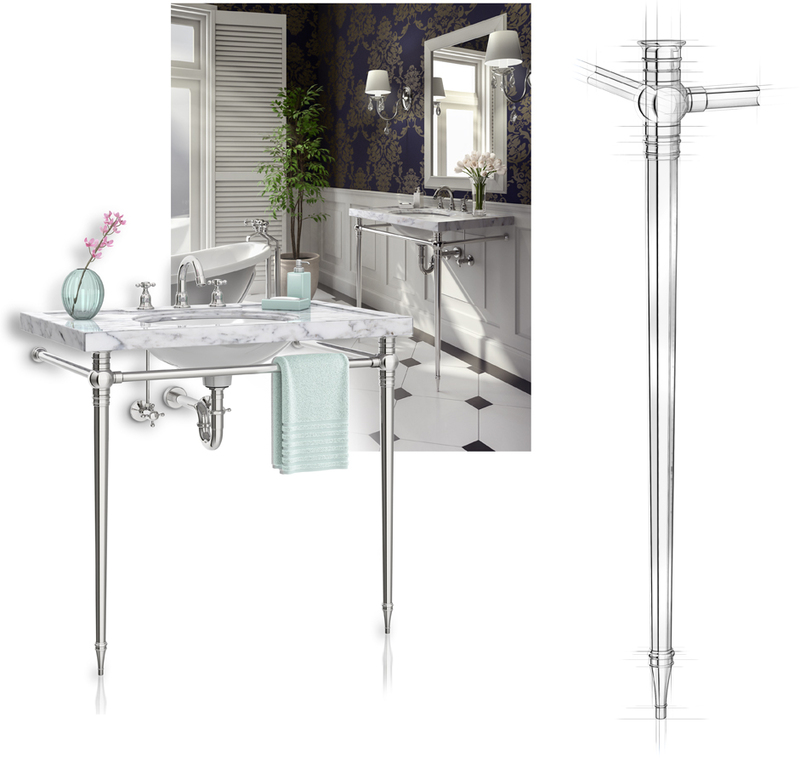 Sink Legs do not simply play a supporting role in the design of your vanity, they play the defining role. The choice between elegant legs or just a wood box changes everything. Palmer Leg Systems are the premier design choice to make your bathroom an outstanding expression of your individual style. All of our Leg Systems are individually crafted, made one at a time, and sized to fit your exclusive needs. • Palmer Leg Systems are sold through our national dealer network of bath supply showrooms. You can locate an authorized Palmer Dealer near you with our Dealer Locator. • Palmer manufactures only the Leg System, we do not make or sell counter tops, sinks, or plumbing fixtures, but your Palmer Dealer will be able to assist you in coordinating and purchasing everything you need to complete a stunning vanity. • For the homeowner the process begins with selecting a style from our Styles Gallery. • Chose a finish from our Finishes Page. • Purchase Finishes Sample Chips. • Select from our Shelving Options.